This One-Sided Mattress spares you the effort of flipping your mattress and provides great value comfort and support. 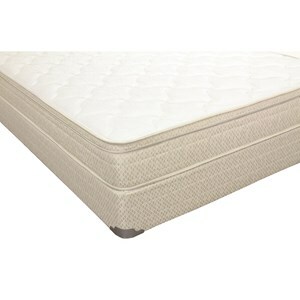 The Euro Top is ideal for side sleepers and is slightly more firm that a Pillow Top mattress, giving you more support while you sleep. 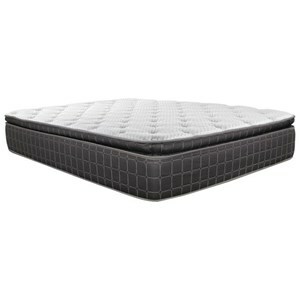 Two inches of Ultra Soft Quilt Foam and 2 inches of Super Soft Comfort Foam create a plush sleeping surface. Box spring not included. 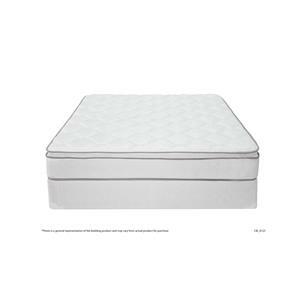 The Cortez King Euro Top Mattress by Corsicana at Nassau Furniture and Mattress in the Long Island, Hempstead, Queens, Brooklyn, Bronx, Manhattan NY area. Product availability may vary. Contact us for the most current availability on this product. Fire Barrier Information FR Fiber Encompasses the Mattress as a Fire Barrier. Note: Although listed, fire barriers are not used in Canadian beds, they are not required by law. 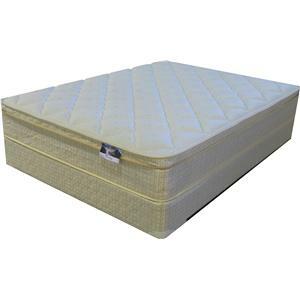 If you are looking for a mattress for your cabin, guestroom, or for occasional use, the Brigham collection may be just what you are looking for. This collection encompasses a variety of comfort levels and mattresses which feature double sided, single sided, foam encased, or pocket springs. 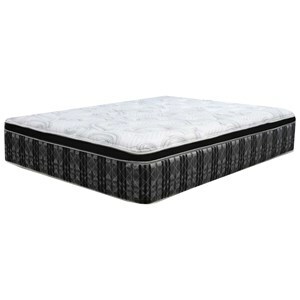 The Cortez features a VertiCoil innerspring unit, Ultra Soft Quilt Foam, Super Soft Comfort Foam, and Support Foam, giving you a sufficient amount of comfort and support at a great value. 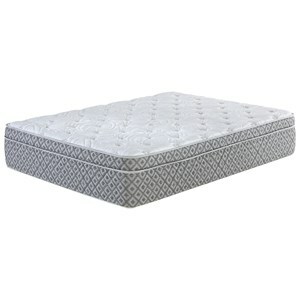 The no-flip design of these mattresses gives you the benefit of having all of the comfort layers between you and the spring unit for maximum comfort. 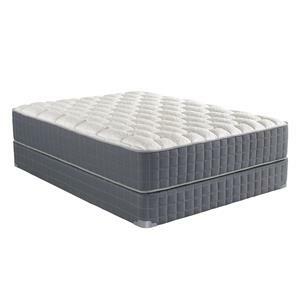 The Cortez collection is a great option if you are looking for Mattresses in the Long Island, Hempstead, Queens, Brooklyn, Bronx, Manhattan NY area. Browse other items in the Cortez collection from Nassau Furniture and Mattress in the Long Island, Hempstead, Queens, Brooklyn, Bronx, Manhattan NY area.